He tells us that when one of the Brethren visited President Heber J. Grant shortly before he passed away, President Grant prayed, “O God, bless me that I shall not lose my testimony and keep faithful to the end!” Even a Prophet of 27 years is not beyond Satan's influence. This is a great reminder to me not to be discouraged when I feel the pull of temptation, the fact that I am tempted does not make me weak - it makes me human. It is how I act upon that temptation that makes the difference. My task is to withstand those temptations, strive every day to become more like Christ and endure to the end. 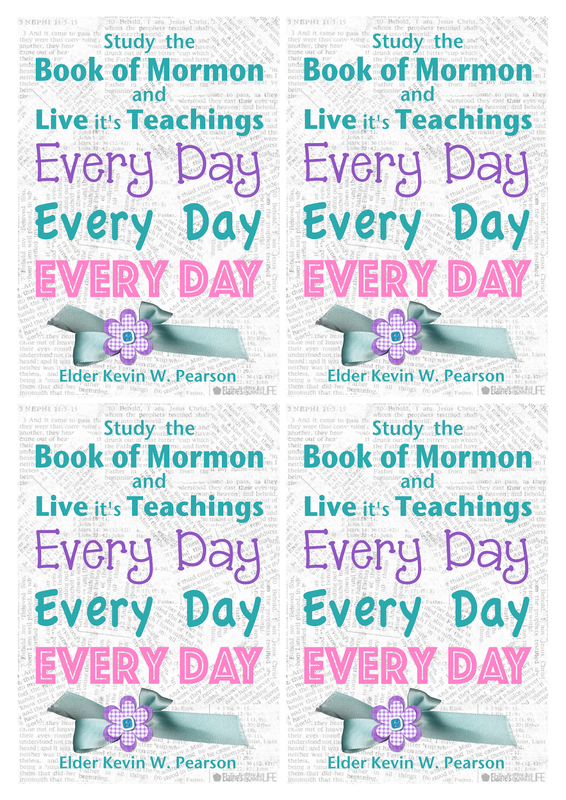 Elder Pearson says that the principle of "enduring to the end" is not the same as "hanging in there" (which is not a principle of the gospel). To "hang in there" has the implication of doing as little as possible to just get by. Christ, however doesn't want us to be mediocre, he wants us to become perfect, and we are not going to achieve that by doing as little as we possibly can. Instead, we need to make that endure actively, we need to put daily work into remaining faithful. He says: "Casual obedience and lukewarm commitment weaken faith. 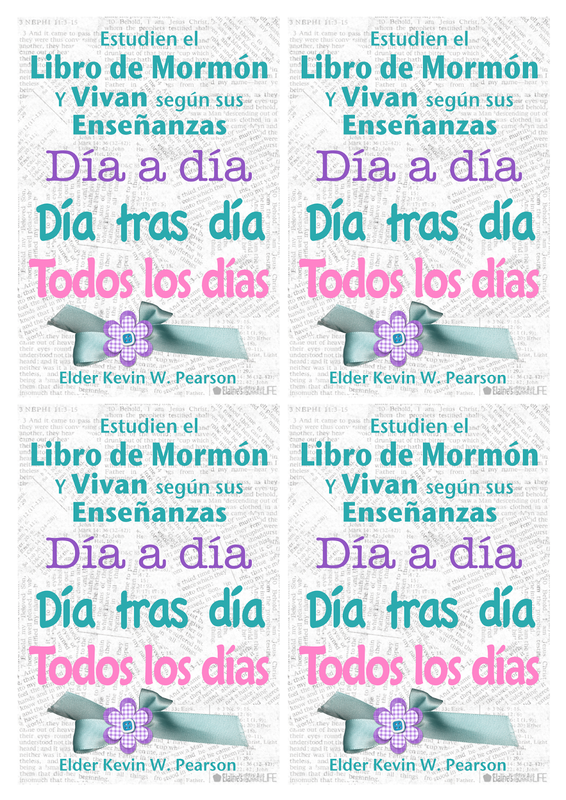 Enduring to the end requires total commitment to the Savior and to our covenants" (emphasis added). 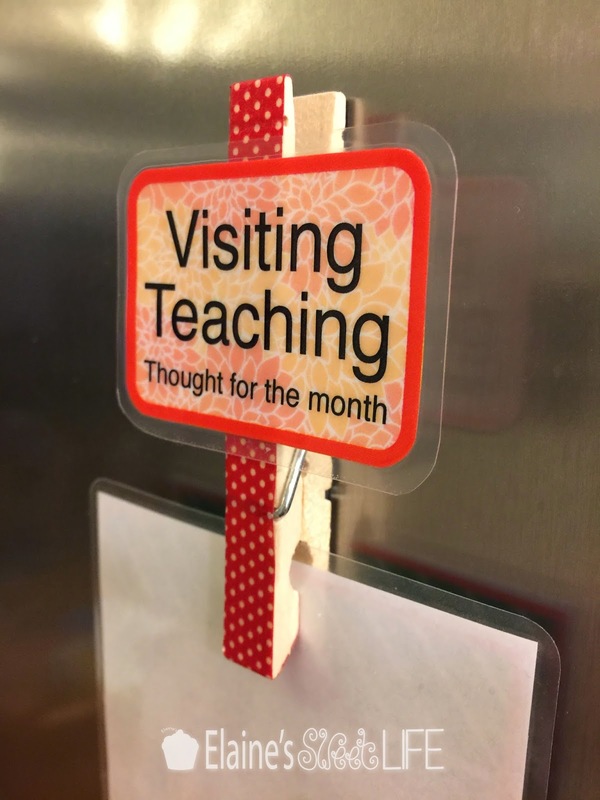 My Visiting Teaching Thought for the Month comes from point 4, and he repeats the message again towards the end of his talk. 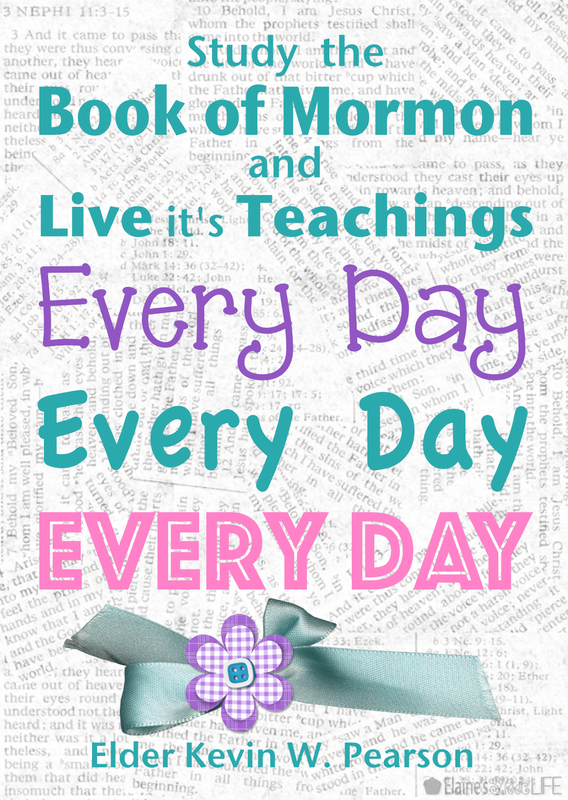 He reminds us that we need to prayerfully study the Book of Mormon and the words of the Living Prophets and live it's teachings every day, every day, every day! Doing this will help us when we feel conflicted, spiritually low, confused and overwhelmed. Elder Pearson testifies that "the profound power in the Book of Mormon will change your life and strengthen your resolve to follow Christ. The Holy Ghost will change your heart and help you see 'things as they really are.' He will show you what you need to do next." I hope that seeing this handout on your fridge, pin board, mirror or wall can serve as a little reminder to feast, daily, on the scriptures and strengthen your resolve to come unto Christ, be fully committed to Him and to actively endure to the end. One day at a time. Click here, or on the image above, to download the English printable. Click here, or on the image above, to download the Spanish printable. Thank you to Wanda Lopez for the translation. 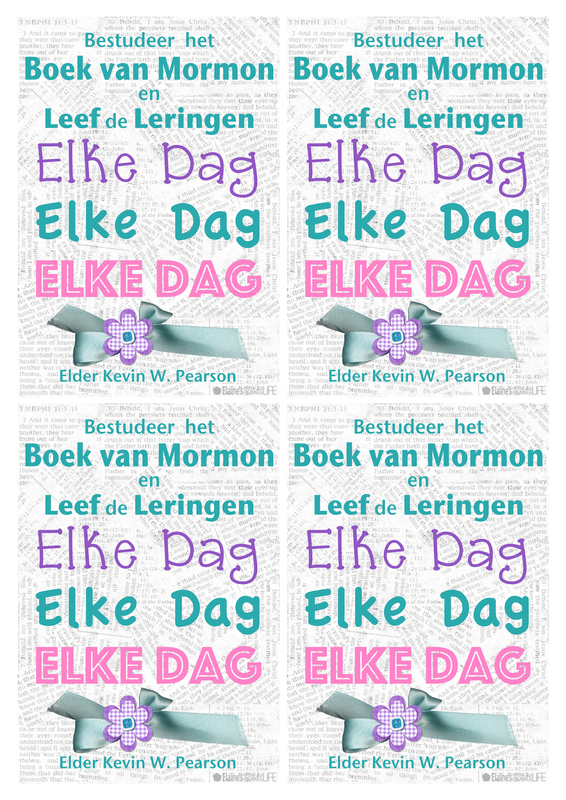 Click here, or on the image above, to download the Dutch printable. Thank you to Chaya Herrebrugh-Wachtmeester for the translation.